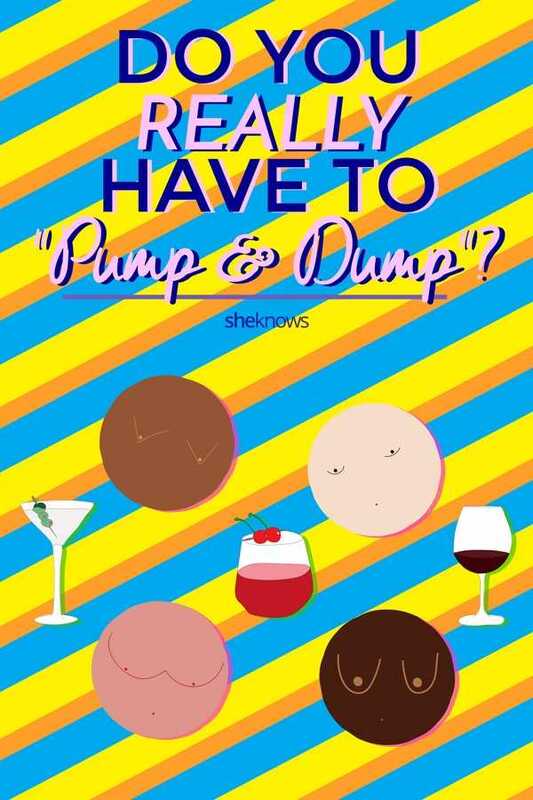 Do You Really Have to ‘Pump & Dump’? The guidelines on drinking alcohol during pregnancy are pretty clear. But what about after the baby arrives? A lot of parents want to celebrate the new arrival with a glass of Champagne/a cold beer/an enormous mojito — and woe betide anyone who tries to tell them they don’t deserve it after everything they’ve gone through to ensure their little ones make it safely into the world. 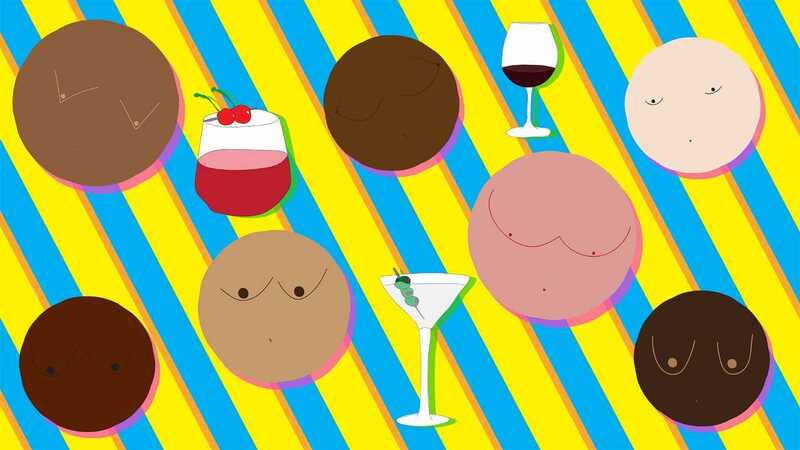 Breastfeeding moms have enjoyed alcohol in moderation throughout history (and at some stage, probably to excess; remember, it wasn’t so long ago that pregnant women were allowed to smoke in maternity wards), but the risk of drinking while breastfeeding remains unclear. What we know for sure is that alcohol is present in your breast milk at the same level as in your blood (and rises and falls along with it). So if you know your blood-alcohol level, you know your milk-alcohol level. Alcohol passes freely into milk and has been found to peak about 30 to 60 minutes after consumption. When an alcoholic drink is taken with food, the absorption rate into the bloodstream decreases, peaking about 60 to 90 minutes after consumption. According to the American Academy of Pediatrics, alcohol is not a contraindication to breastfeeding, although the organization states, “[I]t’s best for women to avoid habitual use of alcohol while breastfeeding.” The AAP also points to studies suggesting that consuming alcohol of any kind may decrease the amount of milk the baby drinks — and alcohol can potentially change the taste of breast milk, “making breastfeeding objectionable to some babies and decreasing the known positive effect associated with breastfeeding,” says the AAP. It also recommends that a breastfeeding parent who wishes to drink alcohol does so just after nursing or expressing milk rather than before — and allows at least two hours per drink before the next breastfeeding or pumping session, to give the body as much time as possible to rid itself of the alcohol before the next feeding. Although keeping in mind the timeframe around drinking and nursing is valuable, the most important factor is really the quantity of alcohol. Research has shown that small amounts of alcohol are considered to be unharmful to nursing babies — the key here is “small amounts.” Again, there are no hard-and-fast rules, but the American Academy of Pediatrics recommends limiting alcohol intake to “no more than 0.5 g alcohol per kg body weight, which for a 60 kg [132 lbs] mother is approximately 2 oz liquor, 8 oz wine, or 2 beers.” Seems reasonable enough. It’s also important to remember that a person’s size has an impact on how quickly they metabolize alcohol (a 160-pound person can metabolize alcohol more quickly than a 130-pound person). So it really comes down to common sense: Don’t drink to excess when you’re nursing, and if you do, don’t breastfeed your baby until you’re sober. If you’re sober enough to drive, you’re sober enough to breastfeed. The age of your baby is also important. A newborn has a very immature liver, so even tiny amounts of alcohol would be more of a burden. Up until around 3 months of age, infants detoxify alcohol at around half the rate of an adult, while an older baby or toddler can metabolize the alcohol more quickly. The bottom line on drinking while breastfeeding is that watching the clock is key, but moderation is even more important. If you go out to dinner and have a glass of wine, you’re absolutely fine to nurse your baby when you get home a couple of hours later. Cheers to that!